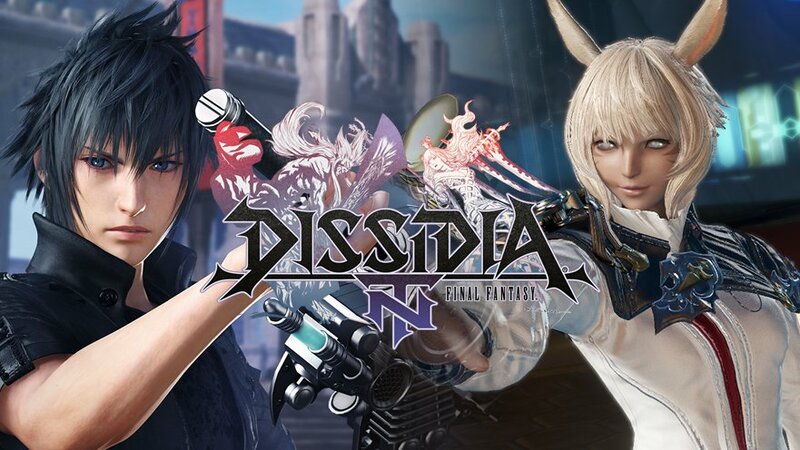 After a couple of games on the PSP and an arcade release, Dissidia Final Fantasy finally hits home consoles with the release of Dissidia Final Fantasy NT for the PlayStation 4. To any Final Fantasy fan, Dissidia NT may seem like a dream. It pits over 20 characters from the series against each other in over ten different maps, and then throws in summons and new arrangements of classic Final Fantasy tracks to top it off. On paper, the idea of this fanservice game sounds pretty good, and traditionally, the previous PSP releases of the game were fairly well received. How does this latest iteration which brings 3-on-3 battles to the home console fair? Let’s find out! If you had to pick a single genre for Dissidia to fall into, it would be a fighting game. However, Dissidia is far from what many would consider a traditional fighter. 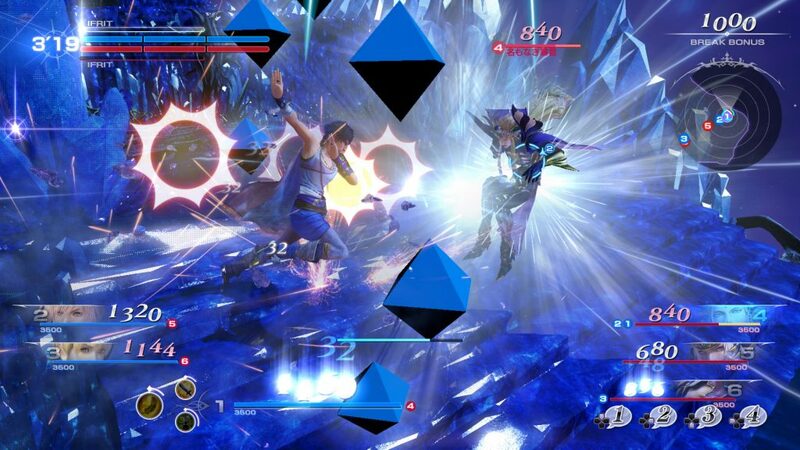 Instead of two characters on opposite ends of the screen hitting each other with various combos until one is defeated, Dissidia mixes things up a bit. There are two types of attacks: Bravery attacks and HP attacks. During a match, you have to lower your opponents Bravery, and increase your own, by using Bravery attacks. Once you’ve built up Bravery, you use an HP attack to then damage your opponent, which will then decrease those Bravery points that you’ve accumulated. Build up your Bravery points, use them to fuel your HP attacks on your enemies, and repeat until they’re defeated. Of course, there’s more to it than simply having two attacks. Dissidia also lets you customize the actions that you take into battle. As you increase your character level, more HP attacks become available for you to equip. As an example, Final Fantasy VIII‘s Squall will start out with Fated Circle as his HP attack, but playing more and leveling him up will let you switch that out for Rough Divide or Blasting Zone. There are also EX skills that can be equipped to all characters, which include options such as poison, teleport, buffs and debuffs. Both the extra HP attacks and the EX skills are unlocked as you play, meaning that if you were to go up against an online opponent, they may have access to not only more options for EX skills, but they may also have unlocked alternative HP attacks as well, allowing them to be better equipped against you than you are for them. Dissidia also weaves in the summons that are a staple of the series. When starting the game, you’ll receive one of seven summons at random. During battle, you’ll have a summon meter that will fill up as you attack other players, or by attacking summoning cores (which serve the specific purpose of filling your summon meter). Holding down the touch pad on the controller will slowly summon your summon and, once unleashed, will have different effects depending on which you choose. Shiva, for example, will help your party return to their default Bravery levels more quickly, further increasing them once she’s summoned. Odin, on the other hand, will increase your dash gauge, then your movement speed as well after summoning. As mentioned above with the EX skills and HP attacks, it feels weird for a fighting game, whether more traditional or not, to block out tools of combat at the beginning of the game. Because Dissidia isn’t a typical fighting game, the stages are large 3D environments as opposed to a simple side scrolling backdrop. Because of the way the game is designed and the scale of the levels, however, the majority of a player’s time in a fight will most likely be holding down the R1 button to dash towards an opponent to get into attack range. Coming in second place to that then will be dashing and attacking a second time, since more often than not, your first attack will strike nothing but air as they dodge right as you finally get close enough to hit actually hit them. If you do manage to land a few hits on your opponent, there seems to be some kind of brief invulnerability period in some cases. Many times I’ve executed my attacks on a character, knocked them down, and then simply stood there waiting for them to get up and to stop looking semitransparent so my attacks can land again. There’s an odd timing involved in learning Dissidia‘s combat as the movement of the characters, the fluidity of combat, targeting, and the overall responsiveness of the game feel out of tune. One of the most difficult things to describe about Dissidia NT is what kind of game it actually is. 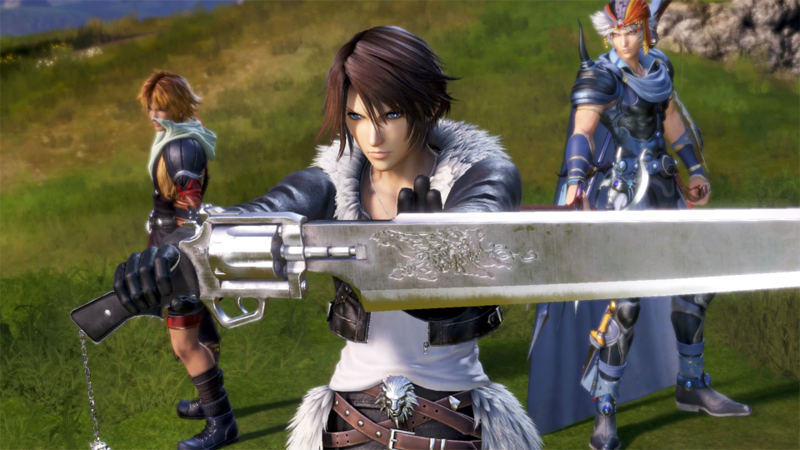 To relate it to a typical fighting game wouldn’t be appropriate, as Dissidia has you unlock new attacks and abilities as you play, meaning you don’t have all of your tools right at the start. It’s not really an RPG, though you do have to rank up each character individually to unlock more attacks and abilities. It’s not some microtransaction-riddled game, though one of the primary elements is opening “treasures” to earn new skins, weapons, etc. The best way to describe Dissidia NT is that it’s some kind of non-traditional fighting game that sees a combination of several ideas that simply don’t meld together in any cohesive manner. Dissidia NT offers a couple of different options to allow players to battle one another over the internet. Players can group up beforehand and participate in ranked matches, or they can queue up for ranked matches solo. While trying to queue up for ranked matches by myself, I found the wait times to be a bit longer than I cared to wait. The other option to play online lets you create or join pre-made lobbies to find players of certain skill levels, set your game type, and most importantly, view the strength of the internet connection. While I have found issues with many of the elements in Dissidia NT, nothing is more poorly executed than the game’s online play. More often than not, my online matches have been slide shows, making the game virtually unplayable. Thankfully, with the ability to join online lobbies with players, you can check the connection strength of each lobby to better ensure that the matches will run how they should, instead of running in stop-motion. That having been said – I’ve seen few lobbies in Dissidia that offer a full, green connection strength. Every time I’ve connected and searched for lobbies, the incredibly large majority of the rooms have a red connection, with maybe a couple mid range connections, and at most two full strength connections. Furthermore, all of my searches have specifically asked for full strength lobbies, which then present me with a list where 90% of the rooms are not green. This is absolutely terrible for a game where online play is meant to be one of its largest, if not primary, focus. 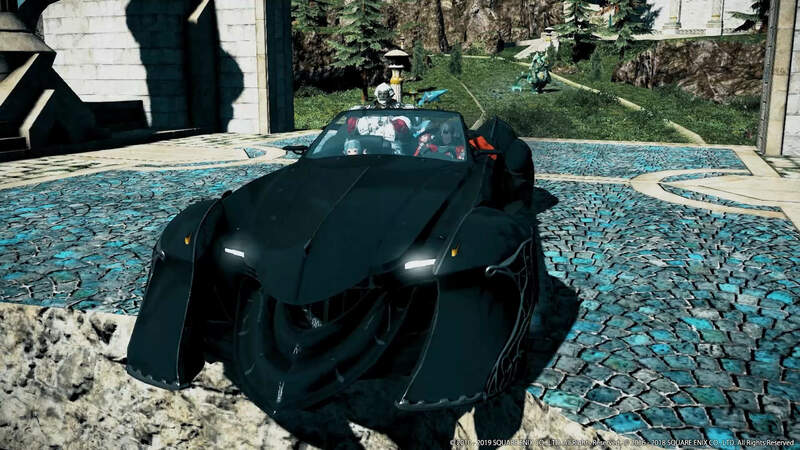 I sincerely hope that Square Enix can fix this. 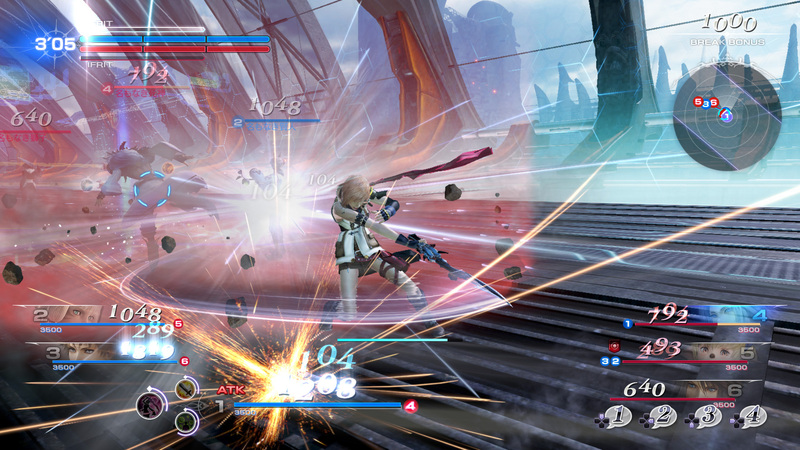 Though its focus lies on combat, Dissidia NT also features a story mode that players can experience. This story mode is made up of cutscenes, fights, and multiple branches to choose from. The story mode is also, unfortunately, locked behind a grind requirement. 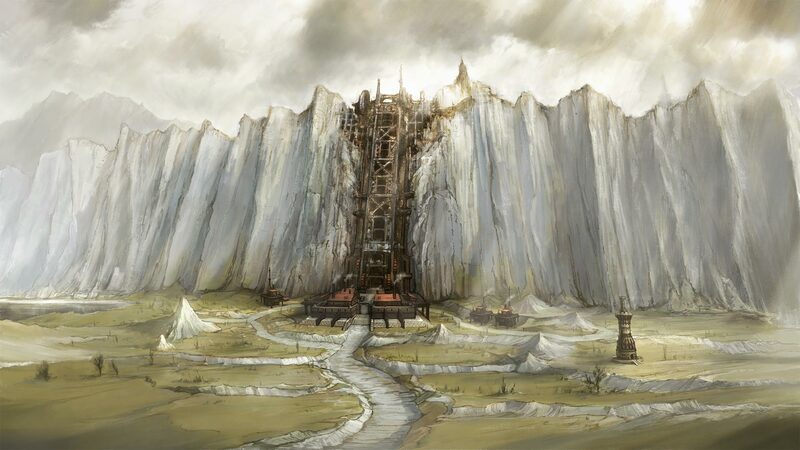 To unlock each new cutscene or fight, players must spend “Memoria” – a currency that can be earned while playing online and offline battles. The cutscenes you’ll see during NT‘s story are presented well enough, featuring a full voice cast for all of your favorite Final Fantasy characters. Various branches of the story follow different groups of characters as they explore the world and encounter various foes, which you then get to fight against as a part of the story itself. At certain points, you’ll be able to go 3-on-1 against one of the mighty summons in the game. 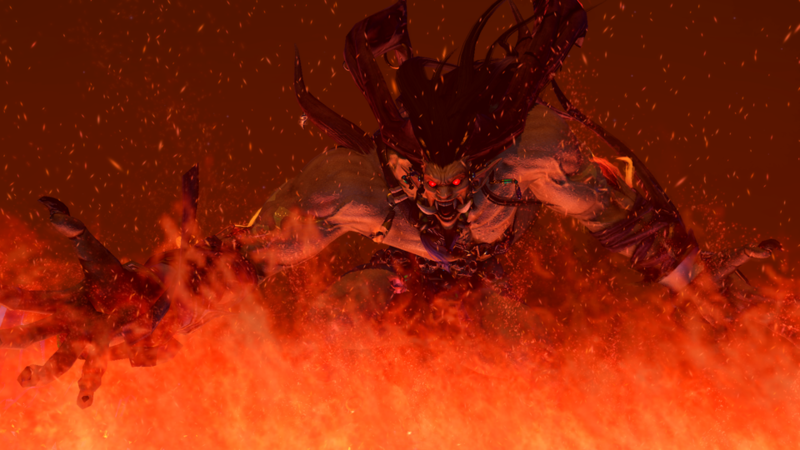 The fight against Ifrit throws you into a burning arena as the summon greets you before you do battle, doing so with some text at the bottom of the screen. Oddly enough, with Dissidia‘s large voice cast, Square Enix didn’t have any voiced lines attributed to the Summons. To put it plainly – it’s super weird that they’re not voiced when literally every other character I’ve encountered in the game is. Dissidia has several ways to show your progress while playing the game. You’ll have a player level that will increase as you play matches, and you’ll have a character level, which has an online and offline version that increases depending on which character you play, and how you play. 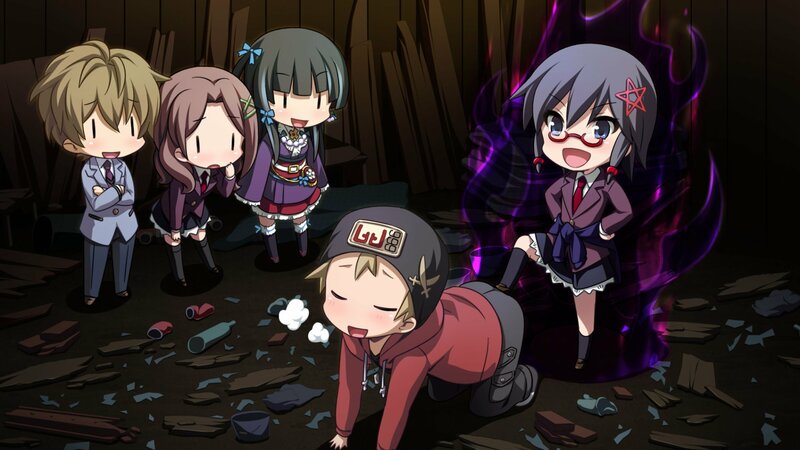 As you increase your player level, you’ll gain access to different EX skills. As you increase your character levels, you’ll gain access to different HP attacks. As you complete matches, you’ll be rewarded with gil and treasures. Treasures are a typical loot box-style system. Opening a treasure will yield three rewards that can be character skins, weapons, new music tracks, character voice lines, or player icons that you can use for your player profile. Any gil that you acquire can be used to purchase all of the above, though the rate at which you acquire currency seems slow when considering there aren’t any microtransaction options available for purchasing treasures. 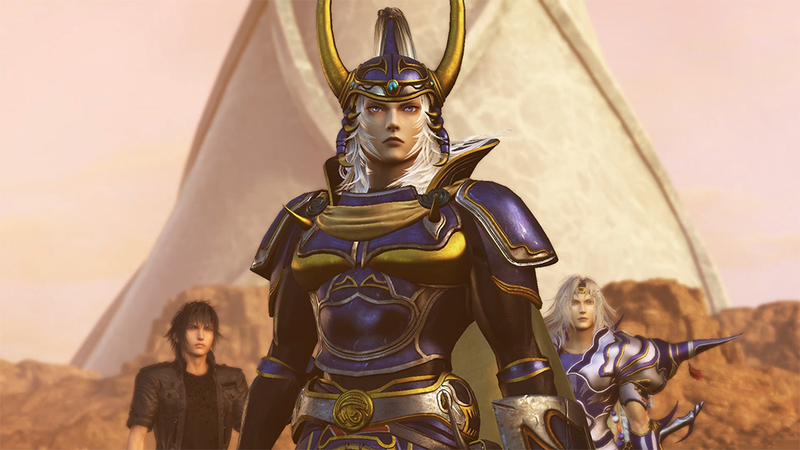 The premise of Dissidia NT is great – mashing fan favorites of the Final Fantasy series together to fight it out. The game also looks great, assuming you’re not playing it online with a bad connection. The game requires you to grind. A lot. Grind to be able to unlock story, grind to unlock abilities, grind to unlock cosmetics. The amount of things to unlock certainly gives the game a vast amount of replay value, especially for players that like to collect things. However, the incredibly poor online component means that you’ll be unlocking those items through frustratingly slow online matches, or by only grinding offline battles.